Chevy Silverado tire tracks make for quite enjoyable early season nordic trails. Camaraderie. That was yesterday's word of the day. It was demo days, the annual gathering of the ski shop employee world, where we convene on Loveland Ski Area to test the latest and greatest ski equipment. Even for the jaded among us, this is a thrill. It's like being a car salesman at the Indy 500, a baseball fan at Yankee Stadium…ok, that's overstating it. But it is pretty damned cool. If I ever get to the point where testing brand new skis seems mundane, slap me. The skis were all great. Seriously. Absolutely amazing. Skis today are works of art. They carve easily, they plow through everything, the make it EASY to ski. Much different from the Rossi 4SK's and Kastle skis of old, with about 3 mm of sidecut and 200+ cm of edge surface. The engineers and designers have essentially made skiing an easier thing than ever to learn. And that fact has to be good for the world. While the skis were all great, the highlight of the day was undoubtably spending good quality time with my friends and co-workers from the greatest mountaineering store on the planet, Neptune Mountaineering. Time away from the shop, just skiing, having fun and feeling like a rat pack like the one's we used to have in high school. Good people, and I'm truly honored to work with each and every one of them. Today, it was Elaine and my first nordic ski of the year. I've been craving nordic, and it's time. 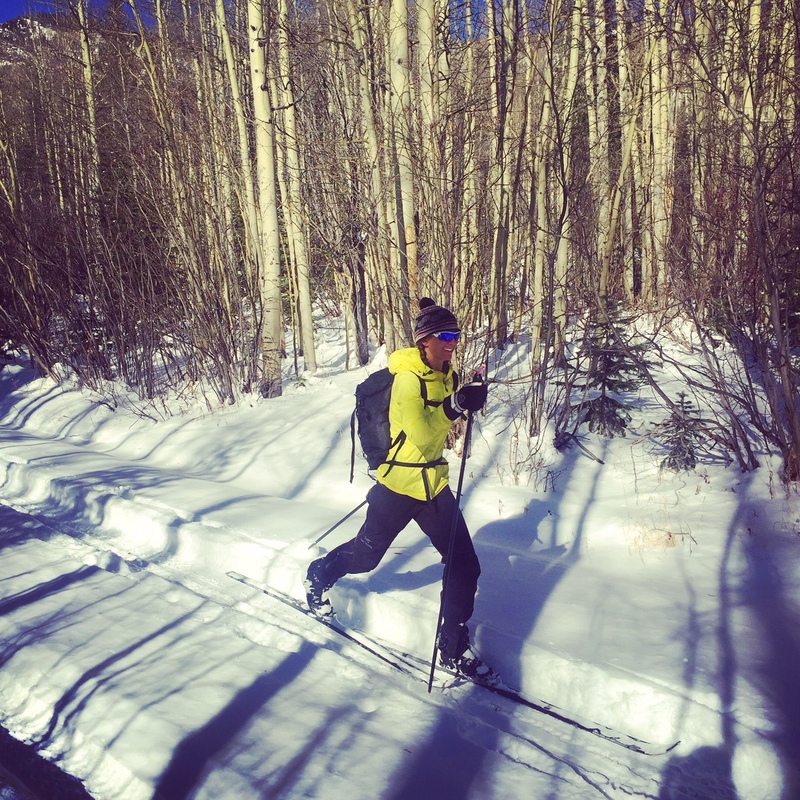 The nordic center isn't open yet, so the Asnes Nansen's and 3-pin leathers got the call. We took a chance on snow and headed up the old favorite from last year…the five mile jaunt to 4th of July Trailhead. It was actually…good. Where there was snow, and for 90% of it there was, it was at least a foot deep. The wind has been ripping here the past few nights though, and the open sections got scoured. Still, it was a good ski. 10.5 miles round trip. I got to see the wild, angry wind pound the summit of South Arapaho, like some godly peak in the Himalayas. Now that's an adventure for this winter. Ski from home to the top of South Arapaho and back. The kick and glide and stride makes me happy. The synchronization of arms and legs, moving like a dancer across the snow. Cross country is the most true form of skiing, the most ancient, and if you look carefully enough, you can see flicker of the cave man fire through the black of the mid-winter forest. Those tracks, an ancient wolf, a mammoth, of another world. They have been cross country skiing for many, many millennia. I'm proud to be part of that heritage and family. 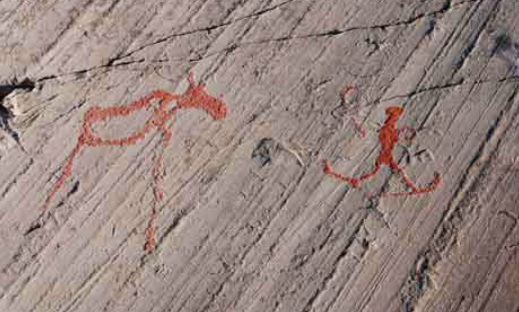 Ancient cave art from the Sami people in Northern Scandinavia. Moose and skier play the ancient game.